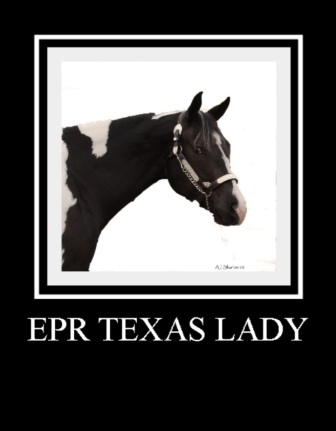 EPR Texas Lady (Emmie) is a 2005 black tobiano mare by Sonnys Amigo Bar and out of Ima Texas Lady Too. 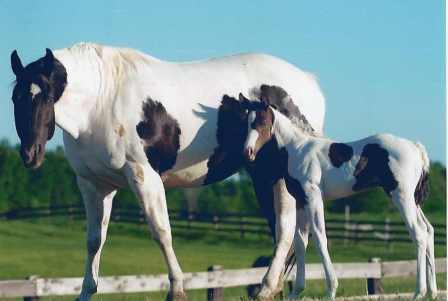 Like her sire, Emmie is homozygous for the black gene, which means she will never produce a red color foal. 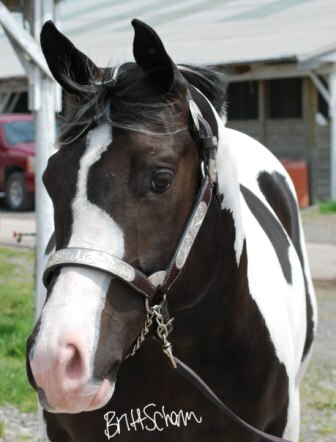 She has a kind, willing to please attitude and is an awesome mover. 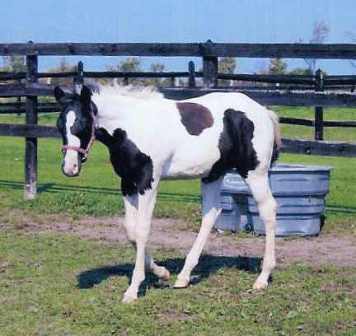 Emmie was shown lightly in halter, color and longe line on both the Paint and Pinto circuits as a yearling and halter and color as a 2 y.o. and 3 y.o. 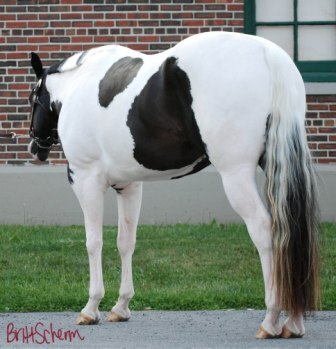 So far she has earned her Open Longe Line ROM in both APHA and PtHA as well as an ROM in PtHA Open Stock Halter and PtHA Tobiano Color. 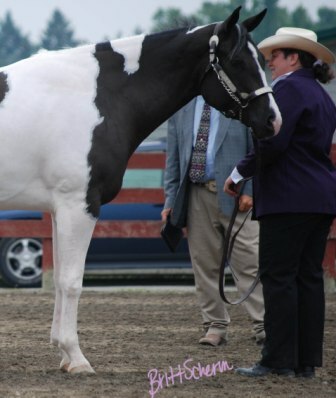 She has 8 points in Halter, 1 point in Tobiano Color and 11 Lifetime Performance points (Longe Line) with APHA as well as 200+ points total with PtHA in the following classes: Open Stock Horse Halter, Open Longeline, Tobiano Color and Youth Halter. 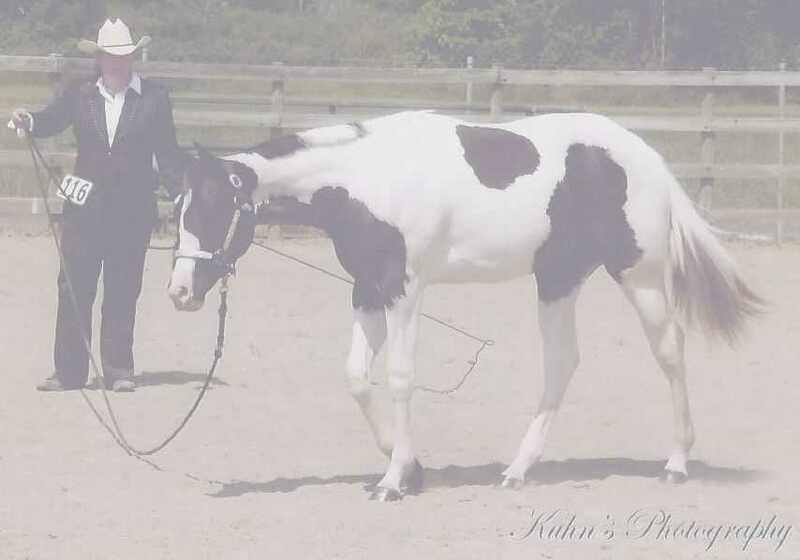 For the 2006 show season, Emmie was Reserve Champion Yearling Halter Mare, Reserve Champion Tobiano Color Horse, Champion Yearling Longe Line Horse and Reserve Champion All-Around Mare for ESPHC (Empire State Paint Horse Club). 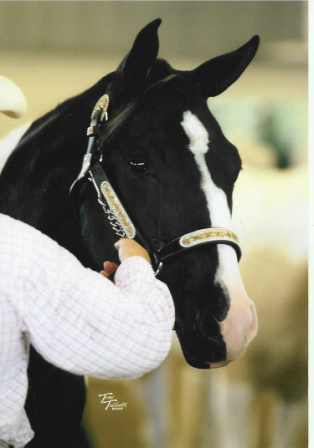 Emmie also placed 2nd overall out of 15 horses at the ESPHC Yearling Longe Line Futurity. 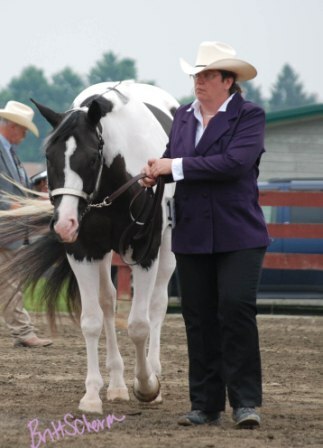 And, she was 7th overall longe liner in our zone with limited showing for PtHA Horse of the Year in 2006. 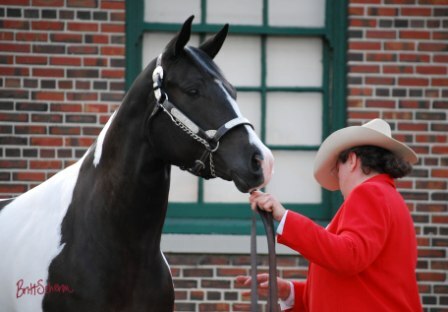 In 2007 she was Reserve Champion 2-Y.O. 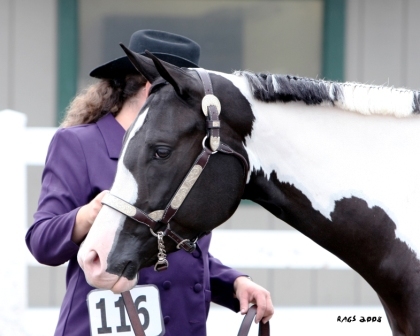 Halter Mare and Reserve Champion Tobiano Color Horse for ESPHC. 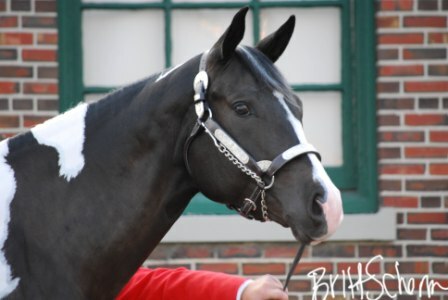 In 2008 she was Reserve Champion 3-Y.O. 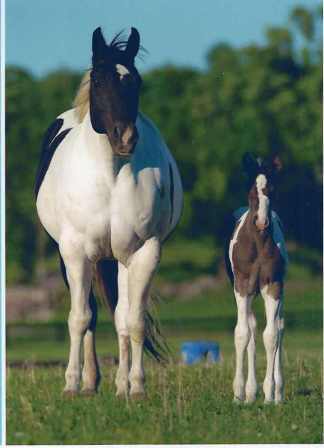 Halter Mare and Champion Tobiano Color Horse for ESPHC. 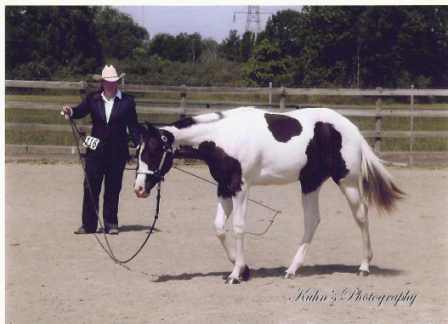 In 2009 she was Champion Aged Halter Mare and Champion Tobiano Color Horse for ESPHC. 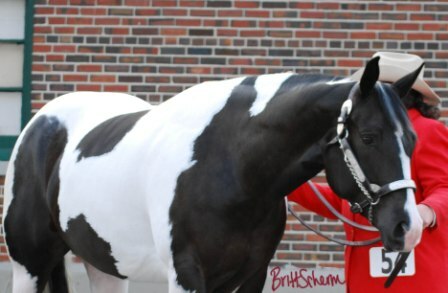 Emmie will continue her show career on the APHA and PtHA show circuits. 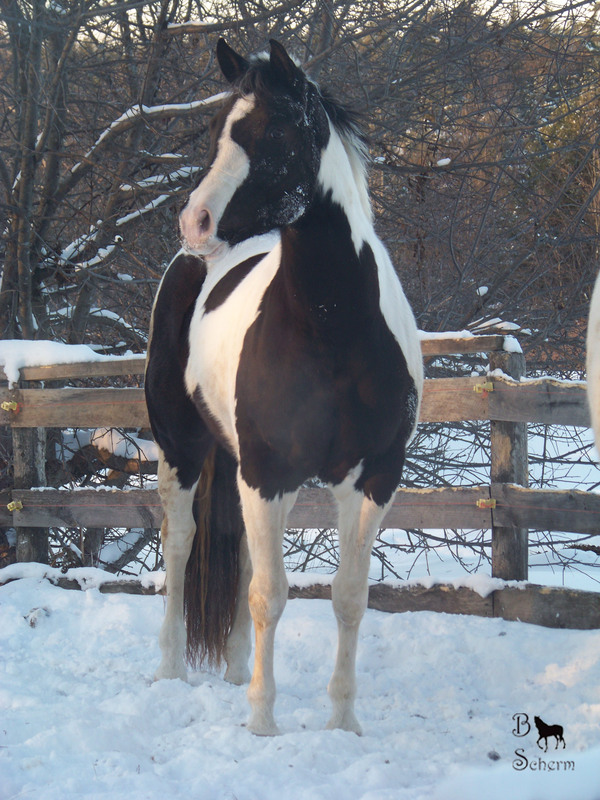 Her sire, Sonnys Amigo Bar is a 1996 black tobiano APHA stallion by TD My Investment and out of Amigas Nina. 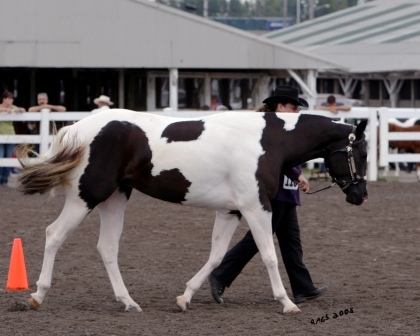 He is homozygous for both the black gene and the tobiano gene, which means he will never produce a solid color foal nor will he ever produce a red color foal. 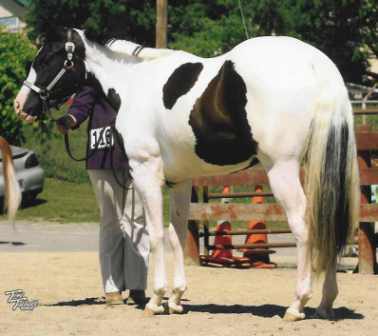 This great stallion was 1998 APHA World Champion Color Horse and was also in the top 10 at the Paint World Show in Amateur Halter. 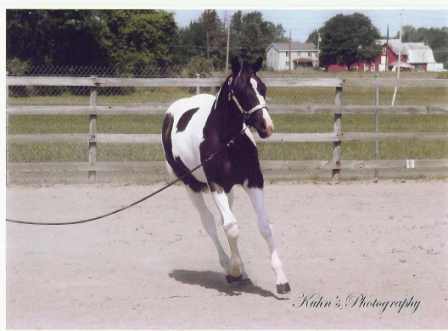 He has earned an ROM in Heading and has points in Heeling and Steer Stopping. 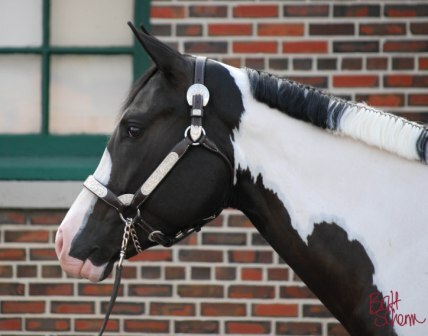 Sonnys Amigo Bar is the sire of APHA and PtHA Multiple Reserve World Champion, Amigos Top Investment as well as the sire of APHA/PtHA Champions in both Halter and Performance for Youth, Amateur and Open Divisions. 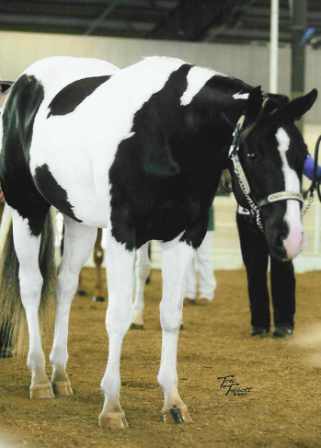 Her dam, Ima Texas Lady Too is a black tobiano APHA mare by Texas Whistler and out of Choice of Mine. 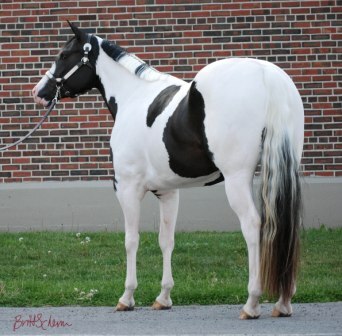 She has earned APHA ROM's in both Amateur and Open Halter and has Open and Amateur Halter points for PtHA. 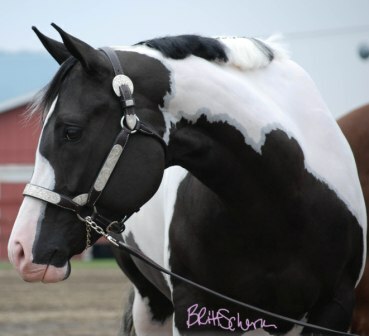 She is a producer of APHA and PtHA Halter and Performance Champions. 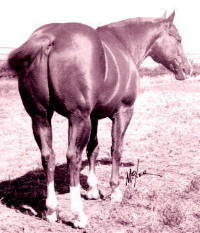 Sonny Go Lucky was a 1972 sorrel AQHA stallion by Sonny Dee Bar and out of Heavenly Fire. 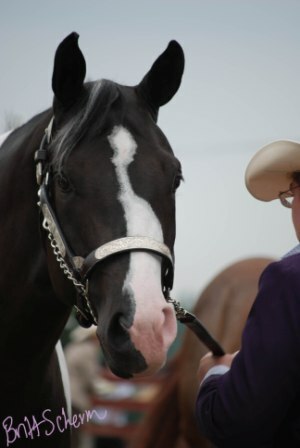 He was an AQHA World Champion Halter Stallion and AQHA Superior Halter Horse, AQHA Hall of Fame Horse and Lifetime Leading Sire. 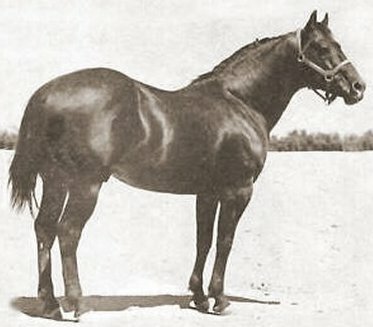 Sonny Dee Bar was an AQHA Legend and Hall of Fame Horse, AQHA Champion, Superior Halter Horse and earner of ROM's in both Halter and Performance. 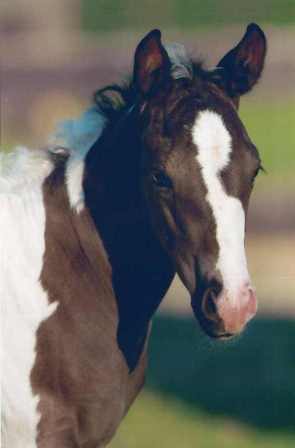 He was an AQHA Leading Sire whose offspring have earned more than 35,000 points in four different breed organizations. 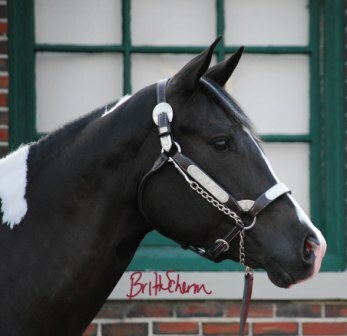 His offspring include World Champions, Supreme Champions, Superior Halter Horses, Superior Performance Horses, NRHA Money earners, Race Money earners and NSBA Money earners. 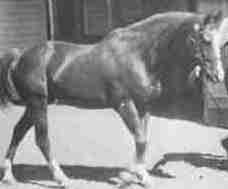 Win Or Lose was an AQHA speed horse that was best known as being the sire of Sonny Dee Bar. Win Or Lose was a Race Money earner and Halter point earner. 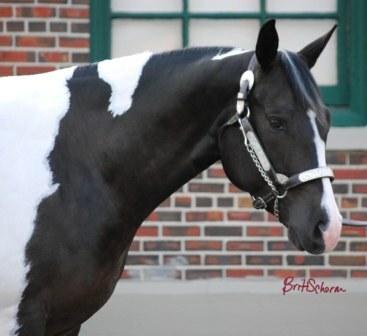 He was a Leading Sire of World Champions, AQHA Champions, Superior Halter Horses, Superior Performance Horses, Stakes Winners and ROM Arena earners. 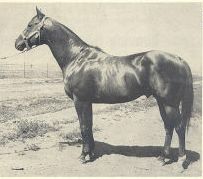 Sugar Bars was a 1951 AQHA stallion. 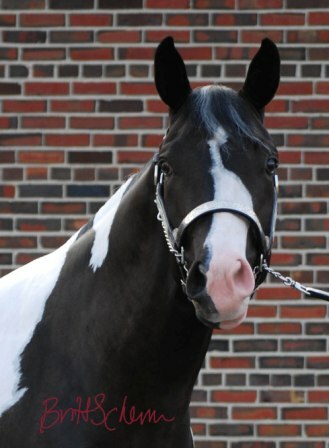 He was a well-known son of Three Bars. 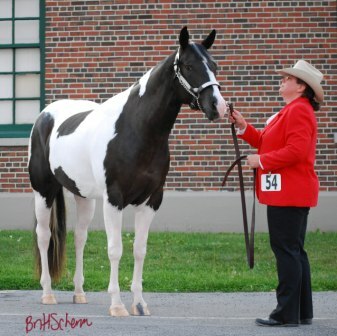 Sugar Bars was AAAT rated, an AQHA Hall of Fame Horse, an ROM Performance Horse, Race Money earner and Halter point earner. 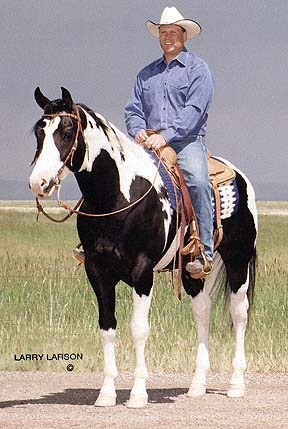 He was also a Leading Sire of AAAT+ Horses and AQHA Champions. 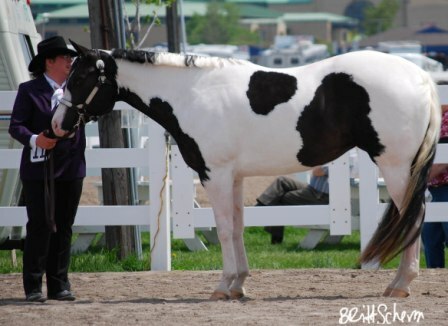 Sugar Bars was a World Champion Sire as well as sire of Superior Halter Horses, Superior Performance Horses, ROM earners and NCHA and Race Money earners.